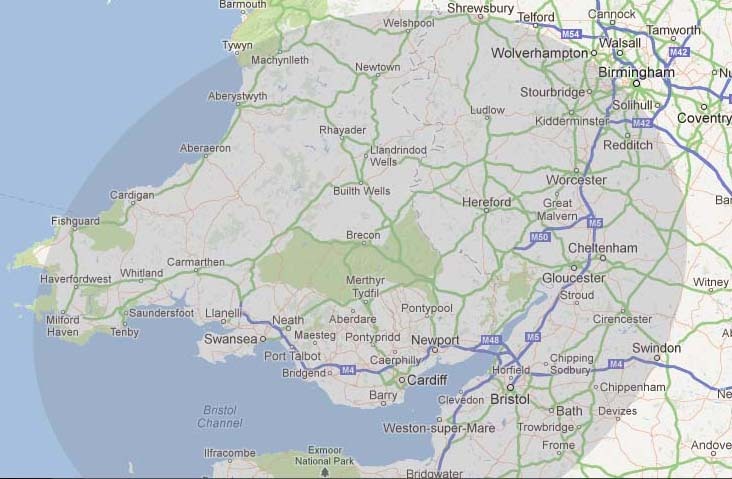 Our main area of operation is mid, west and south Wales and the English borders as shown on the map. We cover the following areas, Bath, Machynllyth, Shrewsbury, Stroud, Swindon, Welshpool, Weston-Super-Mare, Worcester. We may be able to assist in other areas, please contact us.